Always ready, a pocket journal captures your thoughts, drafts, sketches, notes, appointments, and contacts. Composed of a rigid, durable oil cloth bound "moleskine" cover, sturdy thread-bound binding, acid-free paper pages, and a built-in elastic closure. Sketchbooks offer high quality, heavy paper perfect for both sketching and painting. Available with Blank pages. 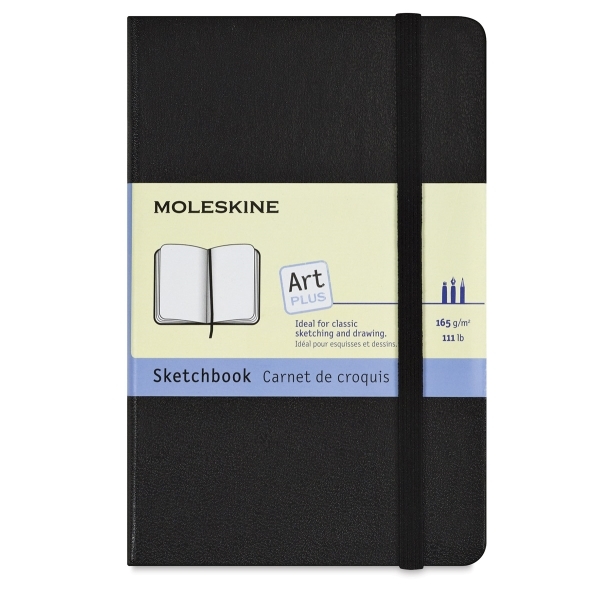 ® Moleskine is a registered trademark.